What I Learned This Week – 5/4/14 | I'm not stalking you. I am not a positive person by nature. But I am trying. Hard. It is sooo very hard. But this week I learned that I am improving. My husband had been working overtime for months, which recently ended. I reduced my days per week at work due to the fact that I thought all the babysitting was killing my elderly mother. Plus, my husband bought a new (used) car last month. The sudden reduction in income and increase in expenses has led us to what I used to refer to as “living poor” (i.e. lots of spaghetti and boxes of macaroni and cheese for dinner). We can pay all our bills, but that leaves very little money left for groceries for a family of three, plus dog food for two large dogs. But, instead, I found myself referring to it as “living within our means”. Instead of using our credit card to buy extra food and gasoline, we will just have to live on the cash we have. That isn’t necessarily super positive, but it definitely doesn’t have as negative a connotation as “living poor”. This week I also realized I need to eat less food. Which works out well with being able to buy less food, I guess. But that still doesn’t stop me from being hungry and wanting to eat. My asbestos friend used a phrase that I thought was very apt. She said she needed to “reign in” her eating. She didn’t call it a diet or trying to lose weight. It wasn’t implied that she would suffer or lack anything. She was just going to have less. Plus, it has a royal ring to it. “Reign it in”. So, my two new mottos to live by this week are “live within my means” and “reign it in”. Hmmm. While they do not seem negative, why am I still left with the nagging feeling of being hungry and poor? I miss my daily chocolate already. 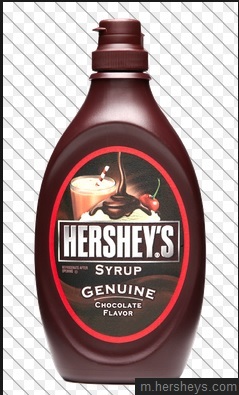 Time to lick some Hershey’s syrup off a spoon. * At work yesterday I was thinking a lot about how I am more productive when I work by myself, and also how an extra $25 would come in handy. One of my co-workers pulled a no-show, and I had to stay later to cover her. Be careful what you wish for. 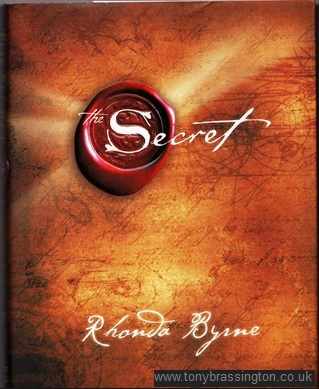 Posted in A day in the life, What I Learned This Week and tagged budget, Chocolate, diet, expenses, Hershey, income, negative, positive thinking, Rhonda Byrne, syrup, The Secret. Bookmark the permalink.